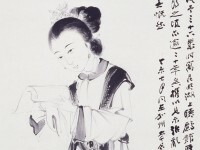 Wu Zuoren (1908-1999) was a native of Anhui province. After studying art in Shanghai, he spent the years 1930 to 1935 in France and Brussels, returning to become a lecturer in the Department of Fine Arts in National Central University, Nanjing. Wu sought refuge in west China during the Second World War (1939-1945) and made Chengdu, Sichuan province, the base from which he ventured out into the borderlands. 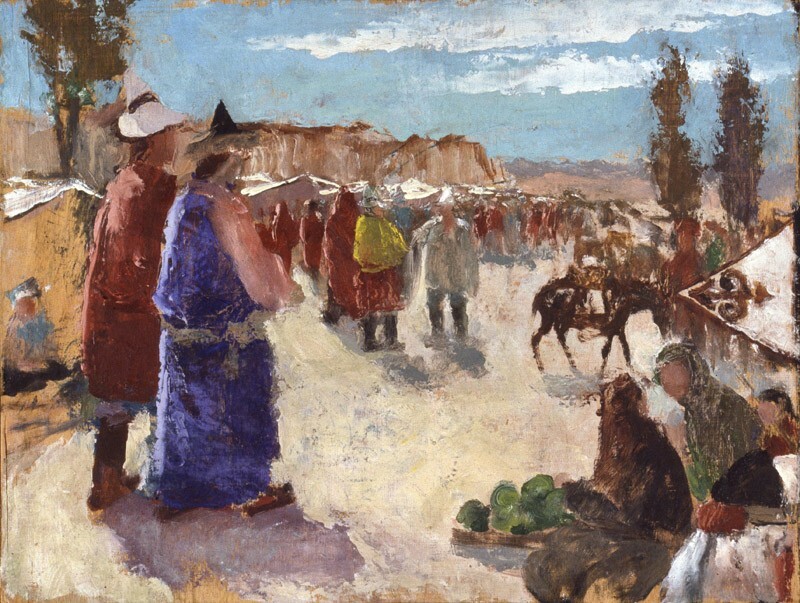 This oil sketch was made on the spot in a market in the Qinghai province and given to Khoan (1919-2003) and Michael Sullivan (1916-2013) in 1943 or 1944. The artist produced a large-scale version of this painting on Khoan and Michael’s verandah in Chengdu in 1944. It is now in the National Art Museum of China.